Today it’s exactly one month to my due date. Well, technically speaking anyway. I’m not quite sure how we’ve already arrived at this point already. It’s definitely been a very very different pregnancy from my first and has felt very slow and long at times. Having only a bite of cake has to be the most acute pain but one that has a worhy outcome for both myself and the baby. For now I take photos of them and know one bite won’t take me over the edge of my sugar levels. The aches and pains have been different and I’ve felt more than my age a lot of times. I move about slowly and my car is my little life saver, keeping me very much mobile and out and about. I’ve finished nesting and am worryingly glancing at the Other Half every so often as I’m sure he seems to have started with his own version of it. On the other hand, I could just sneak jobs onto his list. Yet, somehow, it’s flown by in the blink of an eye and here we are, almost at the end. Ready to have a baby that surprised us all. A couple of weeks ago I saw my very lovely and dedicated consultant team. There’s always 3 of them in the room. Pouring over the detail of both my hospital notes and all of my diabetic information. I was a bit nervous about that particular meeting. It was the one where I had to tell them my decision. Would I be opting for a natural birth or a c-section? I’ve been back and forth a lot of times but the little scare a few weeks ago made my decision for me. It was like watching Zs stats all over again. The same symptoms, same signs, same actions being proposed, same risks. Saying the words out loud were the simplest things I’d ever done in the end. I was ready to explain why in a lot of detail. But no real detail was needed. The consultant asked my reason, simply nodded, understanding why I was choosing what I was, read both sets of history, and wrote down the words “C-Section”. It means the due date is now ever so slightly volatile but will be at least semi set in stone over the coming week. Over the next few weeks I’ll then leave work for a whole year, try to pack in more fun activities for Little Z and hopefully wave him off at the school gates for his very first week at school, provided I’m not having the new baby that week. So this one month to go is going to be very unlike my first pregnancy. I’m pretty sure I just slept through that one and watched repeats of Friends and Gilmore Girls. This one month to go will involve as many lie ins as Little Z will allow, countless cinema, cafe and park trips, lots of stuffing our faces with popcorn and all manners of snacks, and generally cramming in fun, just the two of us. And of course, lots of cheeky naps as I’ll need them. Before life changes all over again. This entry was posted in Parenting, Pregnancy and tagged choosing a c section, choosing a vbac, entertaining a 4 year old through pregnancy, getting tired in the last trimester, One month to go, the last month of pregnancy, the last trimester, week 35 of pregnancy, What happens in the last month of pregnancy. Bookmark the permalink. I still can’t believe it is so close. It has flown by so quickly. I hope you get that week with Z at school, it will be nice for him if his mum is there. It sounds like the c section is the right decision and actually it is quite reassuring to have a date when you have to think about other children too. All of mine were c-sections and as much as it is harder work after while you are recovering, it makes it easier to organise everything. I hope the last four weeks are easier for you. Thank you! I got the week with all his half days and so happy about that, it wasn’t looking like I would at first. Thanks Kim. It’s been a lot more achier this time which has felt like long days sometimes but really has flown by too! The ban on cake must be so hard. But I guess worthwhile when baby arrives. Hope the final month goes well, and that Little Z gives you some relaxing time before school run (walks) start. Its very strange to know the exact date, I think thats why I completely forgot to ask where it is I actually go on the day! Thanks so much Fiona, it feels a bit strange to be on the home stretch now. Thanks Cathy, we are now squeezing in lots of things before the big day! Its so weird to say its been really long at times but completely flown by too. Thanks Katie, we are now filling our days with little fun trips. Where I can sit too! Hehe I think I am going to have to be restrained so that I don’t actually dive into the cake! What an emotional post. It must feel good to have finally made that decision. I know when my sister made the decision it was a real weight off her mind and it turned out to be far better for her than a natural birth. I think all my posts are rather hormonal right now aren’t they? It really did feel like a huge burden had been lifted and I knew I’d done the right thing. I can’t believe it is this time already for you! It must be such a relief to have made a decision over the c-section and it sounds like you have a really supportive team behind you. Now you can really get on and enjoy these last few weeks! Although in my experience this last stretch always felt the longest of all! 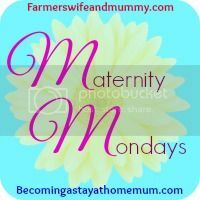 (Mostly) Yummy Mummy recently posted…Mummy, mama, mum – what’s in a name? Thanks Sarah, it felt like a huge relief to finally make the decision and definitely felt right. It does feel a bit long but I’m enjoying the time before we become a family of four. Thank you, if the baby lets me have about 5 hours sleep a night I will be absolutely over the moon. I know it doesn’t work like that though. Alas! Oh that cake does look yummy – hope you enjoyed your one bite of it. Sounds like you have made the right decision for you – hope all continues to be well over this last month and that little Z allows you to have a few lie-ins and the odd cheeky nap before your new baby arrives. Thank you Louise, I’ve been fortunate enough to sneak a few in so far! Glad they accepted your reasons for the C Section – they must have thought it was a good decision if they didn’t try to persuade you out of it. Cinema and snacks sounds perfect – hope you manage a few naps in the dark of the cinema. Thanks Erica, I think its because they’d been there all the way through which made it so much easier. Thanks so much V, we are having a few pottering about days which is rather nice. Got a couple of last big things to do then we’re ok I think! Wow, that seems to have flown by, although maybe not quite so quickly for you perhaps! I do hope you’re getting lotos of rest in, if you can, and I’m glad you’ve got the C-section. I had one for my second son and I have to say it was far less stressful than my first birth. The best bit was holding my baby boy for 45 mins while they stitched me back up-that was something I’ll never forget. Ahh the 45 minutes of holding him sounds so wonderful, I hope I get time like that too! Thanks so much Darren, I think sometimes I find myself surprised its flown by so quickly too! That really has flown by! Fingers crossed you get some naps when little Z is at school and before you have the baby! Thanks so much Sian, it really does feel like its flown by. Still have a couple of weeks left so I’m going to try not to count down! Lisa@intotheglade recently posted…My Sunday Photo! Oh you poor thing. I must admit it does seem like you’ve been pregnant for a very long time. I still eat cake with meals with my GD but thankfully my cravings were sour so that’s a good thing. wishing you all the luck in the world over the next month, this might be a silly question but does it mean when the baby is born you can eat sweet things straight away or do you have to have further testing? does pregnancy diabetes just go away like that? Yes its such a strange thing isn’t it? I was so unsure I asked my consultant about 3 times through the course of it all and apparently it does instantly rectify itself and I can start eating whatever I want all over again. Thank you for the comment, I best find my camera charger and charge it up properly! It really won’t be long now! How exciting! Thanks Laura, I think Im starting to get excited, I’m mostly just very nervous! Claire recently posted…Frankie & Benny’s Launches Their Brand New Menu! Thanks Claire, your link led me onto the new menu at Frankie and Bennys and now I want all of it! It is, it feels like everything is the same but is about to change in a big way. Very strange kind of feeling! Thank you 🙂 I don’t think I can quite believe it either! Oh wow one month really will fly by and then fingers crossed, lots of lovely cake to celebrate! Thanks so much Carie, I think a tiny bit of bit is in denial that this baby is coming! Thanks Foz, I’m not quite sure where this years disappeared to but it does really feel like its flown! WOW nearly at the end..Decisions are hard to make but you’ve obviously thought long and hard about it. Get your rest whenever you can! After an emergency section with my eldest, I went for electives for the other two. It was such a relief to know I had that date in the diary, and it is such a different experience. It seems to have come round so quickly, so exciting!